Law Enforcement, Fire, Search and Rescue and other public safety agencies have broad requirements for sUAS systems. The Yuneec H520 six-rotor sUAS is a versatile aerial platform that can be configured to meet those requirements. 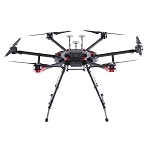 Whether used for accident scene reconstruction, crime scene mapping, fire scene management, or finding victims in search and rescue operations, the H520 offers the necessary payloads for optimal performance. These multiple payloads, E90 high resolution camera, E50 medium focal length camera and CGOET dual thermal/RGB camera, are hot-swap capable for maximum convenience and minimum downtime. UAV inspection of valuable assets can yield significant cost savings, improve worker safety and extend the life of the asset. Whether it is inspection of solar panels, communication towers, antennas, wind turbines or other valuable infrastructure, the H520 can provide the capabilities and flexibility to get the job done. 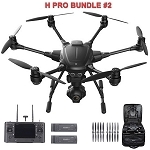 The H520 sUAS offers multiple payload options such as the CGOET dual thermal/RGB camera which is ideal for solar inspections or the E50, medium focal length camera which is optimized for vertical tower inspections. Obtain clean and accurate images more frequently than via manned inspections. At the same time, periodic comparable data may be generated, allowing for aging analysis, maintenance projections, and overall knowledge of the object being inspected. Traditional pre-construction surveys and site topography may be slow, expensive, and can stand in the way of rapid decision-making processes. With the H520 sUAS, topographic maps and 3D models allow stakeholders to visualize, plan, make informed decisions and take decisive action. Autonomous UAV flight enabled by the H520 Data Pilot™ software allows for repeated missions that may be layered to determine changes in the work site. Monitoring progress during construction prevents potential problems, by providing visualizations that may be compared to previous imaging or blue-print data. The ability to compare as-built vs as-planned on an intelligent worksite, offers opportunity to rapidly discover deviations that may lead to significant cost overruns or completion delays. The Yuneec H520 sUAS, paired with either the E50 or E90 imaging platforms, are ideal for broadcast/production. From flood to fire, accident to event, sUAS solutions from Yuneec allow journalists to climb above the crowd and capture the moment from an interesting, captivating, and informative point of view. Also, video production continues to evolve as budgets and timelines shrink. 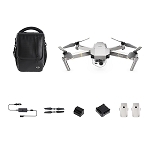 The Yuneec H520 offers the ability to create repeatable, stunning aerial video quickly and efficiently and with hot-swappable cameras, bring powerful, flexible, and creative tools to the digital storyteller. The safety features of the H520 and DataPilot™ solution provide for confidence on any set. 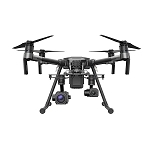 Yuneec Commercial sUAS are designed with the inspection industry in mind with six-rotor systems that allow for stable, precise flight, medium focal length lenses that allow the sUAS to fly at greater distance from an object and data storage to SD card in 4K/2K/HD video or 12Mp still images, and transmit to ST16S Ground Station in 720p video link resolution. 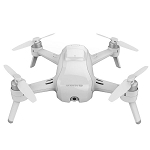 Yuneec camera payloads are interchangeable and hot-swap capable, offering time-saving convenience for the commercial operator by not requiring a power-down restart of the sUAS system. This also allows consistency of data-storage, rather than using multiple storage devices and locations. Whether it’s thermal imaging, long focal length, or wide focal-length data capture, memory cards may be swapped from device to device. 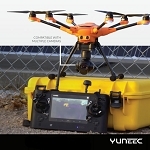 Yuneec Commercial sUAS are designed with the inspection industry in mind with six-rotor systems that allow for stable, precise flight, long focal-length lenses that allow the sUAS to fly at greater distance from an object and data storage that may be shared instantly from the ST16S Ground Station or delivered directly in 4K/2K/HD video or 12Mp still images. Yuneec's DataPilot™ software system enables users to efficiently and consistently create orthomaps, 3D scans, crop data imagery, or cinematic movement for repeatable, recallable aerial flight paths, without requiring expensive 3rd party software. Missions/flights may be stored for later recall/reflight, or planned off-site and transported to the control system via email, thumbdrive, or micro-SD card. Mac and PC users may plan missions offsite and execute missions on-site, allowing for time-planning, collaborative mission planning, and archiving of missions in a cloud or local storage. DataPilot auto-generates survey paths with user-defined frontlap/sidelap, and cross-hatching for precision 3D or large format image output. Users may define a survey resolution via altitude or inch-per-pixel decisions, providing a platform that is capable of flight even in low or high-altitude scenarios. DataPilot also allows for storage/caching of maps from many map providers for access in areas with no connectivity, and provides tools for precise waypoint placement even in areas where no updated maps are available. DataPilot™ is integrated with the Yuneec ST16S Ground Control Station via the built-in Android 7” Multi-function display, and may be used for exporting flight logs, integrating with popular analytics and post-processing applications such as Pix4D, Agisoft, Datumate, DroneDeploy, Dronifi, and many others.